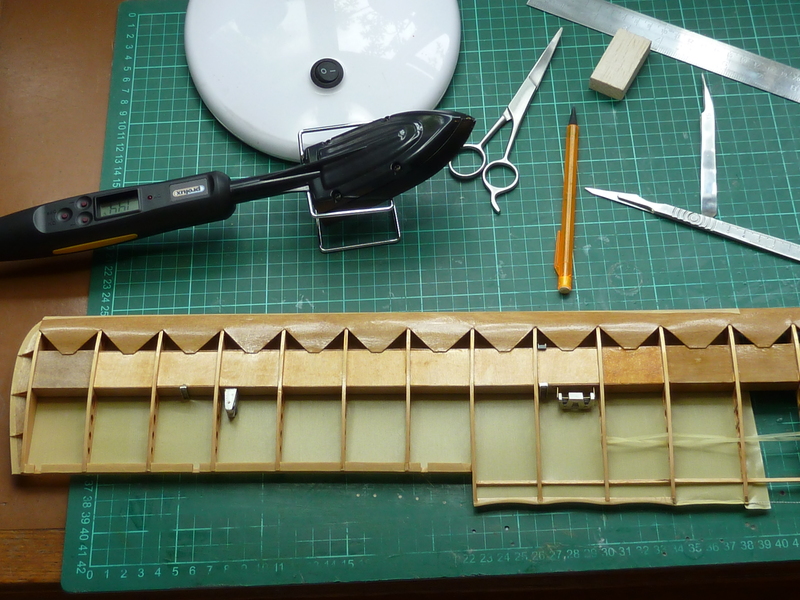 Work has continued on the wings and has gone quiet well. At least I seem to have reduced the number of errors that I’ve been making. There isn’t a huge amount to describe, in terms of techniques, that’s new though as the work has been a repetition of that described in the previous post. 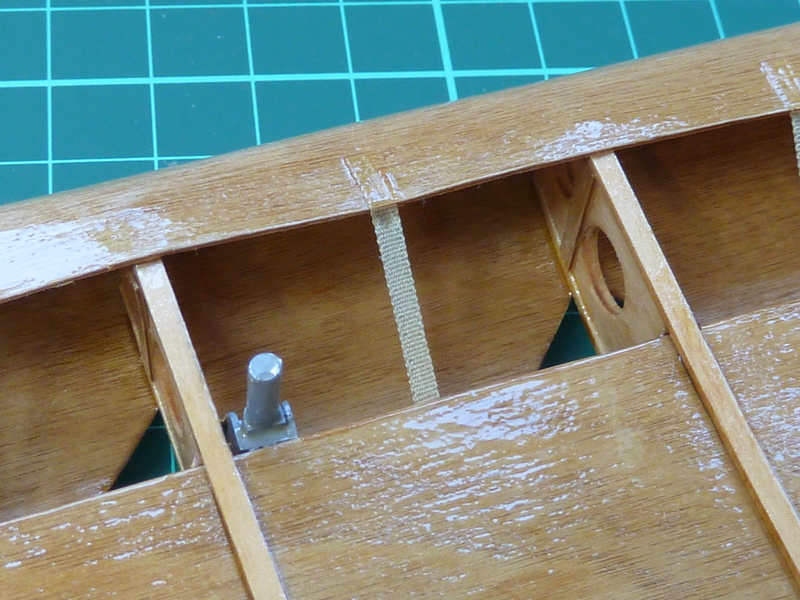 The wire trailing edges of the starboard wings was considerably easier to manage than I expected. Some simple fixing brackets were used to hold the wire in place and CA glue to fix it all. There’s a bit of artistic licence here as I don’t know exactly how the wire was held in place. The only reference I’ve come across says that it was held by “steel clips”. The brackets are the same as those I made for the Camel. Small strips of brass foil 10 x 1.5 mm. I used the blunt end of a 0.8 mm drill to impress some dents into the foil which, when it has been straightened out again, give the impression of rivet or screw heads. The wire is supplied with the kit and is intended to be used to hang it up according to the instructions. I’ll use clear fishing line for that so the wire was essentially spare to me. I’ve now completed all of the wing assemblies and just need to varnish, cover and paint as appropriate. 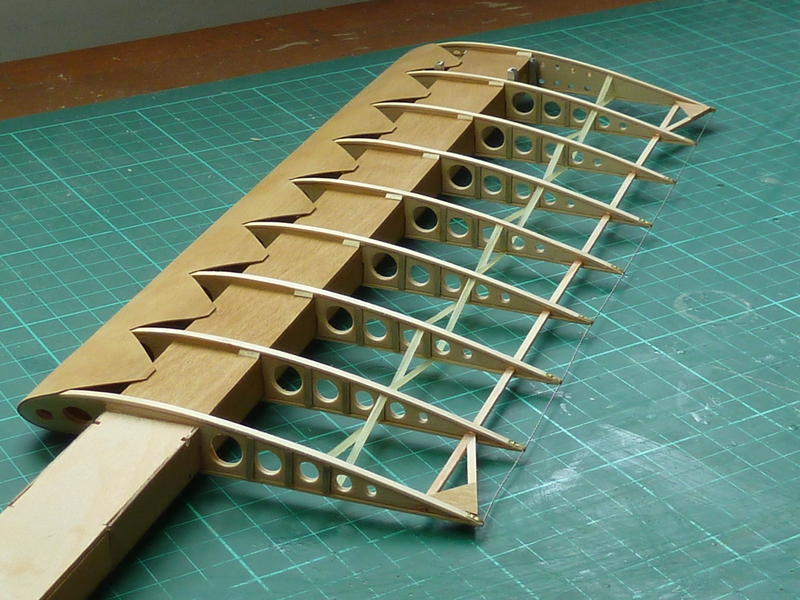 Below is the finished starboard lower wing prior to varnishing. I’m still in two minds whether to paint the rib strapping. As before I’m using Ronseal’s ‘Yacht Varnish’ because I like the colour of it and the finish it gives, though I’ve had problems with the 1.4 mm ply which has a very absorbent surface which doesn’t lend to a good finish. more sanding and thin coats I think. The port sides of the wings have been covered with solartex as before, then given a coat of white primer (Halford’s best) which gives a nice finish. I experimented with a number of reds prior to choosing the final version. 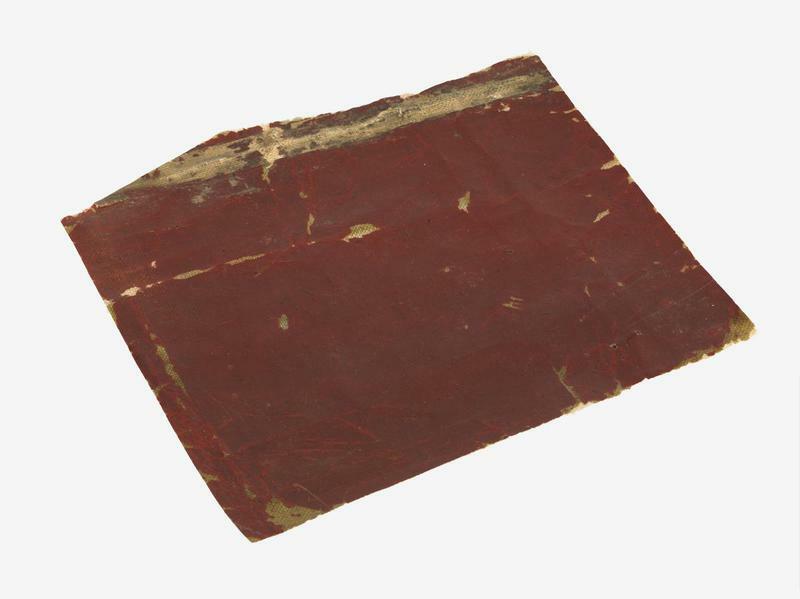 There are samples of the actual covering from Richthofen’s aircraft held by the Imperial War Museum in London. 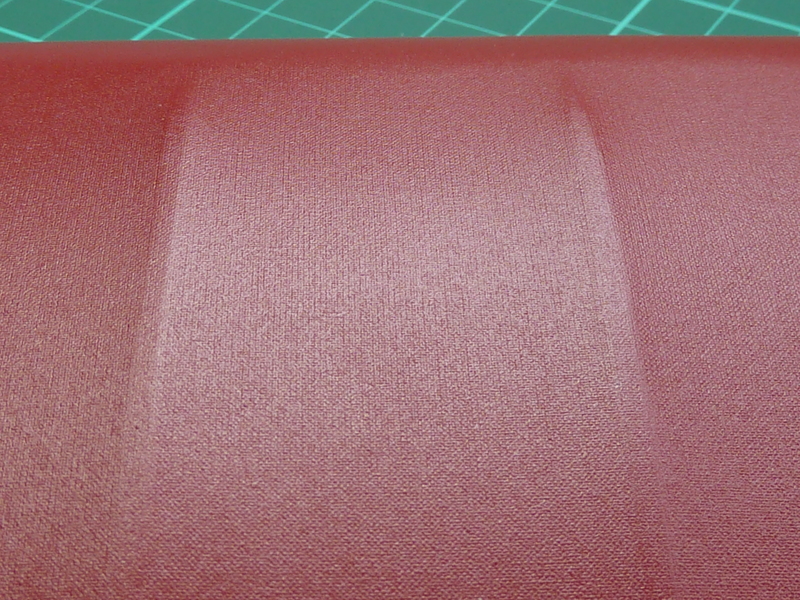 As you can see it’s quite a dark red, though allowances should be made for age and also dirt and soot on the sample. I tried a number of reds with both white and red undercoats to get something close to the IWM sample. I was surprised how much difference the latter made. It took much of the blue out of the topcoat that was present with the white undercoat and made it more orange. 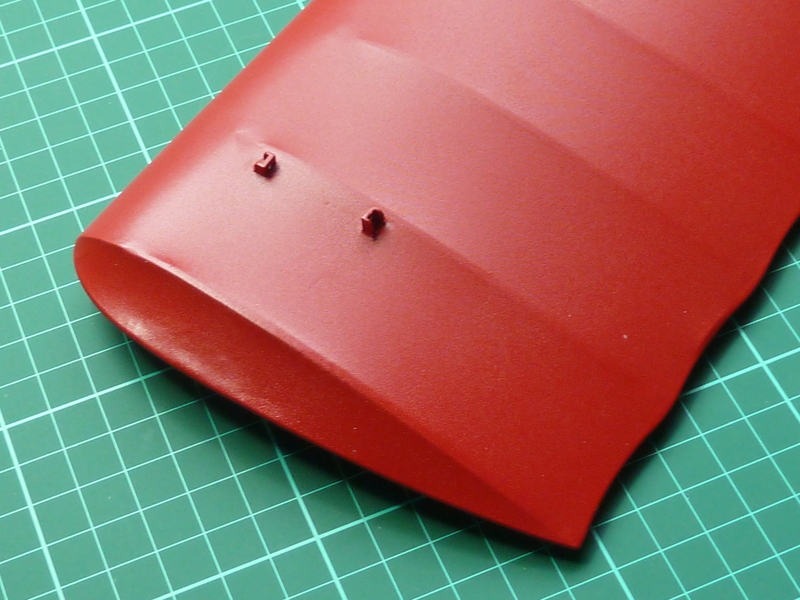 In the end I plumped for Nissan’s ‘Flame Red’ on a red undercoat. It’s lighter and slightly bluer than the IWM sample, but I think it will look more acceptable on the scale model than an exact match. 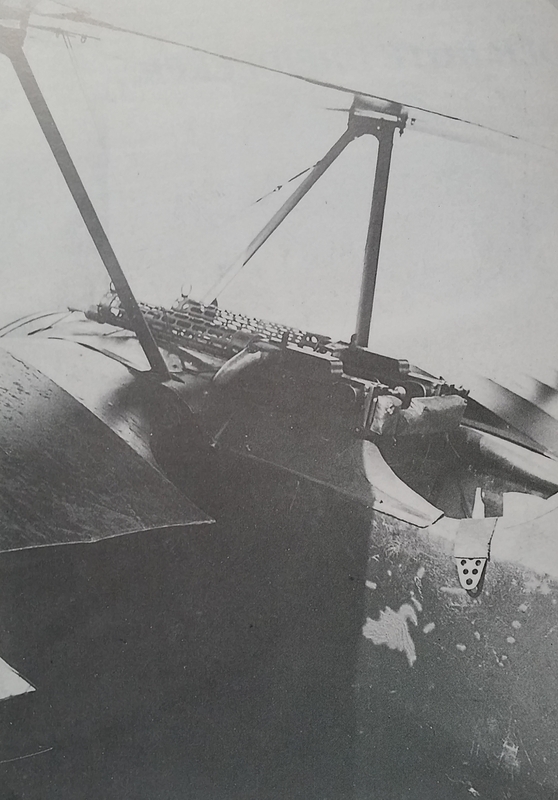 After two undercoats and two topcoats the weave of the Solartex is still evident when period photographs show Richthofen’s DR.1 to be smooth and glossy (it is thought that is was factory painted by Fokker especially for Richthofen as there are no signs of the usual camouflage paint underneath the red). I think I will need to apply some sort of satin lacquer to fill the weave, as I did on the Camel. 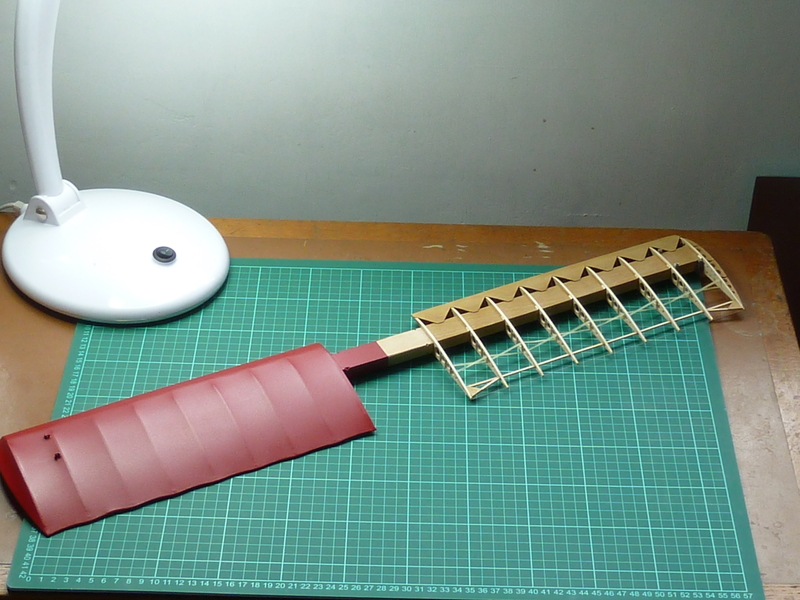 Currently the lower and middle wings are at the stage shown below, and need lacquer and varnish to complete them. 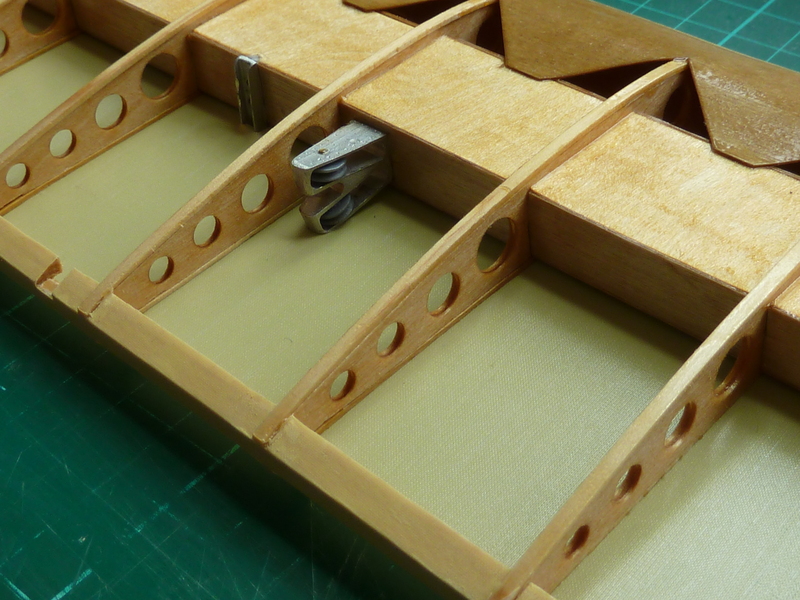 The top wing has been left half covered at the moment as I need to fix it in place on the fuselage to work out the exact locations where the control lines for the ailerons will enter through the lower skins. 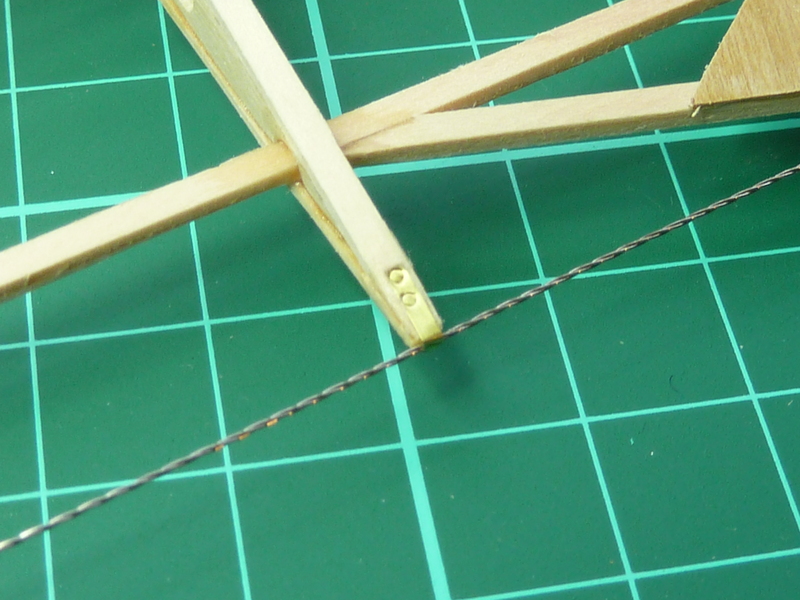 How I will thread the lines through the covered wing I haven’t yet determined, as it doesn’t have the Camel’s useful inspection points at the pulleys. That is pretty much it for the wings. Next up will be the wheels and undercarriage.